The Bureau of Land Management is rewriting a 2013 plan, with the aim of opening up previously protected lands on Alaska's North Slope. The Trump administration on Tuesday launched a plan to overturn Obama-era protections and open up more Arctic land will be open to oil development. To accomplish that goal, the U.S. Bureau of Land Management said it is kicking off a rewrite of the 2013 Integrated Activity Plan for the National Petroleum Reserve in Alaska, or NPR-A. That Obama-era plan for the western side of Arctic Alaska, the product of years of study, put about half of the approximately 23 million-acre reserve into protected status; the rewrite, announced in the Federal Register, will replace that with a more pro-development plan, the BLM said. New production and new discoveries in NPR-A justify a rewrite of the operations plan, a top Department of the Interior official said in a statement released by the BLM. “As development and production increases into the NPR-A and as advances in technologies are discovered for use on the North Slope of Alaska, the Department of the Interior determined it is appropriate to consider a different approach to management of the NPR-A,” said Joe Balash, assistant secretary for land and minerals management. The announcement kicks off a 45-day scoping process during which public comments will be accepted on how the new NPR-A plan should be written. 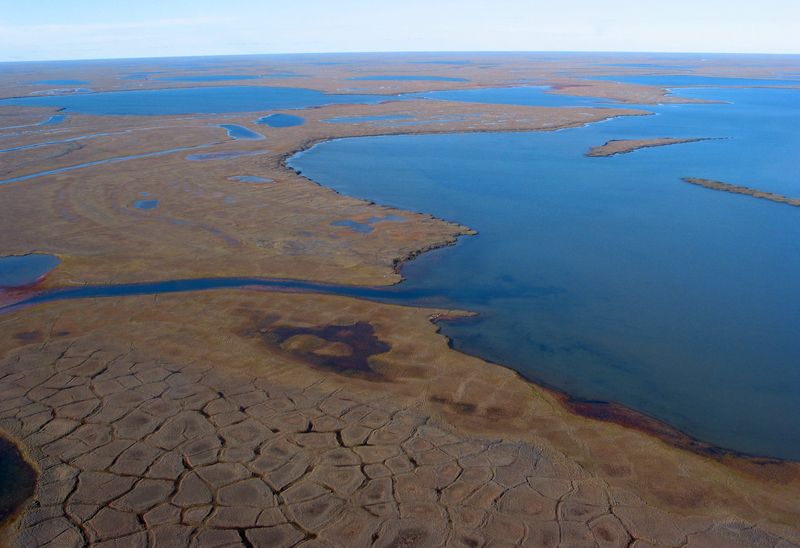 Among the areas given protection by the Obama administration were the sensitive lands around the Teshekpuk Lake, the largest lake on Alaska’s North Slope. The oil industry has complained about those protections because the Teshekpuk area, on the northeastern side of the reserve, is considered to be a likely place for new oil discoveries. But the area is also globally important habitat for migratory birds and is home to a herd of caribou and is used by polar bears for denning. Environmentalists blasted what they said were the Trump administration’s destructive designs on the Teshekpuk Lake area. The Trump plan would undo years of careful compromise and study that resulted in protected status for the Teshkekpuk Lake area and four other designated “special areas” considered to have exceptional ecological value, the environmentalists said. “Throughout this multi-year process, the vast majority of public comments supported strong protections for Reserve Special Areas. Abandoning this science-based, common sense approach in favor of oil and gas interests is reckless and makes a mockery of Interior’s planning process,” Leah Donahey, legislative director of the Alaska Wilderness League, said in a statement. Much of the motivation for additional NPR-A oil development comes from new discoveries in previously overlooked rock formations on the western side of the North Slope, the Nanushuk and Torok formations. Together, they are believed to hold 8.7 billion barrels of undiscovered but technically recoverable oil, according to a mean estimate published last year by the U.S. Geological Survey. Those two formations had previously been thought to be too difficult to develop, David Houseknecht, a senior geologist with the USGS, explained in a presentation at last week’s annual resources conference held by the Resource Development Council for Alaska. Of the two formations, the Nanushuk is more likely to produce oil than the deeper Torok, Houseknecht said. The Nanushuk is the source of oil in the giant Pikka discovery being developed by the Spanish energy company Repsol and its partner, the Australian company Oil Search Ltd., and the Willow discovery being developed by ConocoPhillips Alaska Inc.
ConocoPhillips is among the companies that have banked its Alaska future on oil in the NPR-A and adjacent parts of western Alaska. After acquisitions of shares held by BP Exploration (Alaska) Inc. and by Anadarko Petroleum, ConocoPhillips now owns 95 percent of the Kuparuk unit on state land — Alaska’s second-largest oil field — and 100 percent of the three established oil-field units within NPR-A. “All this western movement is really a story about new technologies and being able to utilize those technologies and people with new ideas thinking through how things could progress,” he said. Oil Search also has big plans for lands within and adjacent to NPR-A. The Australian company was attracted to Alaska because of the big potential in the Nanushuk formation, Keiran Wulff, president of Oil Search’s Alaska division, said in his presentation at the RDC conference. “We don’t think it’s going to be the next Prudhoe Bay. We would love it to be the next Kuparuk,” Wulff said. Oil Search and Repsol added to their North Slope holdings in last week’s Alaska Division of Oil and Gas lease sales. Oil Search put up about $530,000 for four tracts that were among those offered in the state’s Beaufort Sea sale, and Repsol spent more than $12.5 million on 10 onshore leases that were offered in the state’s areawide North Slope sale, according to preliminary results from the division.